West Vancouver, BC, Canada is is located on the northwest border of Metro Vancouver (Vancouver Lower Mainland). The community is situated on the shores of English Bay and on the southeast shore of Howe Sound. West Vancouver, the District of North Vancouver and North Vancouver form the North Shore communities. Top attractions, adventures and activities most enjoyed in and around West Vancouver, BC, Canada and the surrounding areas are mountain biking, hiking, paragliding, backpacking, flightseeing tours, ocean kayaking, wildlife tours, golfing, rollerblading, rock climbing, swimming, camping, boating, sailing, fishing, beachcombing, scuba diving, downhill skiing, snowboarding, xc skiing, snowshoeing, backcountry skiing and helicopter skiing. What are the Accommodations, Services and Amenities in West Vancouver, BC? West Vancouver places to stay, services and amenities important to travelers include accommodations (resorts, hotels, motels, inns, bed and breakfasts (B&Bs), vacation homes), campgrounds, tours, guides, attractions, big box stores, nightclubs, restaurants, laundromat, coffee shops, wineries, breweries, spas, grocery stores, pubs, liquor store, banks, gas station, gift stores, and internet service. Best West Vancouver, BC history, entertainment, culture and art venues includes the Spirit Gallery, Ferry Building Gallery, West Vancouver Museum, West Vancouver Fire Services Museum & Archives Society, and the Kay Meek Centre. 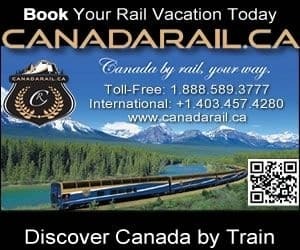 How Do I Get To West Vancouver British Columbia? Transportation services getting to and from West Vancouver, British Columbia include the main highway of course (Highway #99), and then there is taxi, bus, car rental, marina, rail, and the (YVR) West Vancouver International Airport (31 minute drive - 23 kms) and the BC Ferries Tsawwassen Terminal (49 minute drive - 46 kms) and Horseshoe Bay Terminal (12 minute drive - 11 kms). eh! Plan to Visit West Vancouver, BC today.